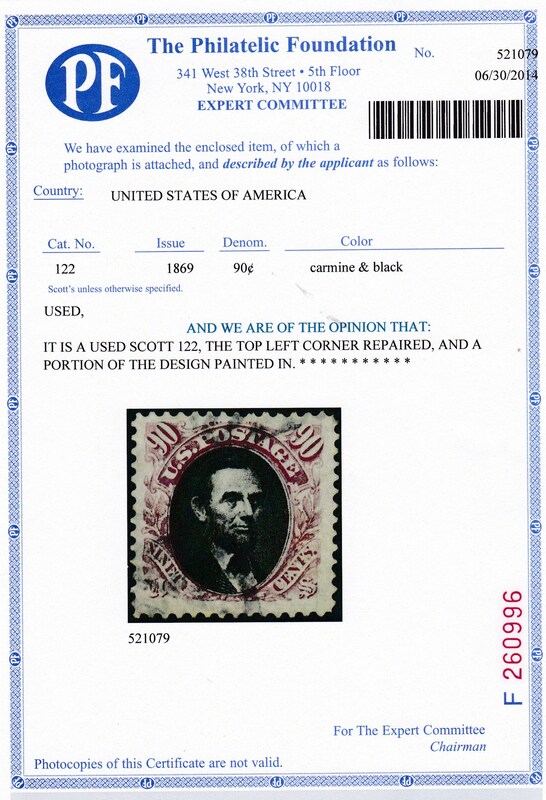 been submitted for Certificates of Authenticity. This remarkable piece of high technology equipment makes a wealth of programs and processes available to the Philatelic Foundation’s staff of experts. A recent submission to the PF highlights this equipment’s remarkable capabilities. 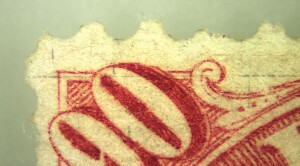 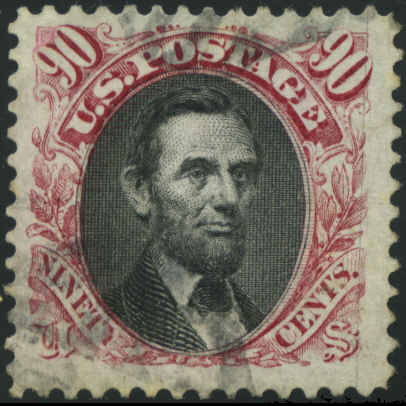 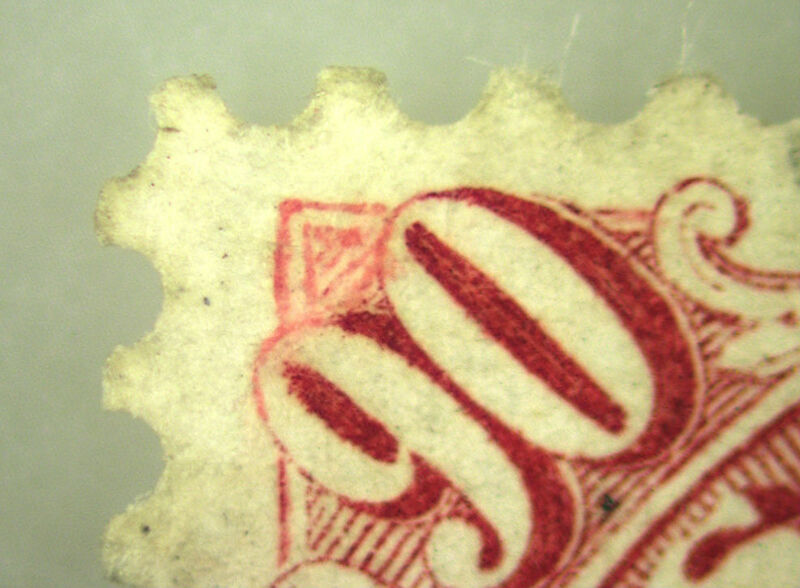 The 90c 1869 Issue (Scott 122) stamp shown in Figure 1 appears to be a wonderful example of this difficult issue—well centered with wide margins and lightly cancelled. But put to the test with the VSC6000’s high magnification capability, it became apparent that the stamp’s upper left corner had been repaired and that the triangular design in that corner had been skillfully painted in as seen in Figure 2. When compared with a genuine example of this intaglio printed stamp under high magnification as seen in Figure 3, the faked “art work” on the patient is obvious.